Lauded for their cloud-like support, latex mattresses have become increasingly popular among consumers looking for exceptional comfort. A latex bed features a layered design, which can be customized to be very plush or extra firm – and every level of softness in between! Organic or all-natural latex is derived from rubber trees, which may be especially appealing to eco-conscious or “green” shoppers. Mattress manufacturers use natural and synthetic latex in some of their best-selling lines, due to the material’s unique self-ventilating properties. Latex is breathable, meaning it will never trap moisture or heat. It’s also a great choice for allergy sufferers since it’s hypoallergenic and resistant to dust mites (which commonly aggravate asthma). 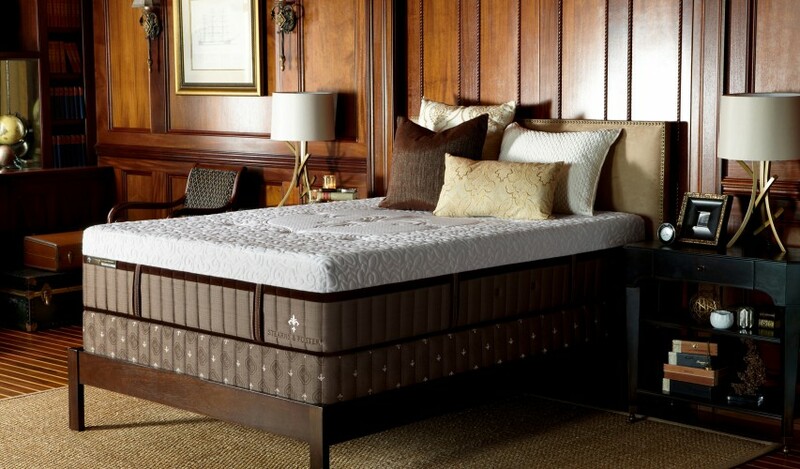 In addition to latex’s hypoallergenic and antibacterial properties, it is one of the most resilient pressure-relieving materials offered in high quality mattresses. You’ll reap the benefits of rejuvenating sleep with minimal partner disturbance and less tossing and turning. Dense but highly elastic, latex conforms and yields to your body’s curves, promoting neutral spinal alignment while eliminating pressure points. Because of these superior health benefits, the best latex mattresses are often recommended by physiotherapists and osteopaths for people with back pain and other musculoskeletal issues. Here at Mattress World Northwest–Oregon’s #1 mattress retailer, with 11 locations throughout the Portland region–we’ve received tons of positive feedback from satisfied customers who are in love with their latex bed. Remember to look for comfort and mattress components rather than brand name, as manufacturers feature affordable and luxury lines. I have suffered from back pain for decades and used to wake up feeling tired and achy, but that has all changed with my new latex mattress with pillow top. I can now sleep a solid 8 hours every night without interruption and only wish I had made this purchase years ago. My girlfriend and I are thrilled with our latex bed, and we were extremely happy with the friendly and professional service at Mattress World. Avoid the hassle and high prices of chain stores and shop local here!